With the new EC legislation coming into play in September with it's main aim of removing directional halogen lamps from the marketplace. 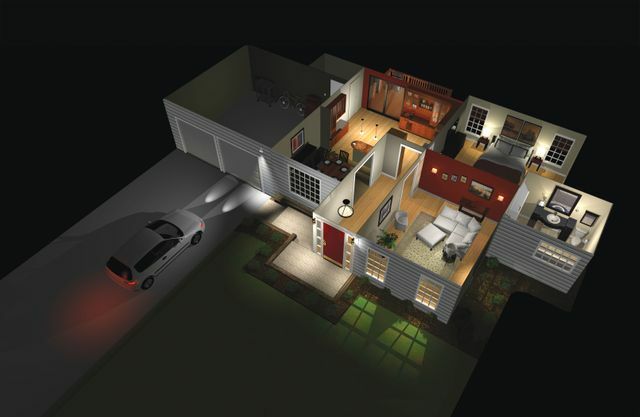 The residential LED lighting market will soon get a major boost from an influx of new customers and interest in energy saving lamps. Perhaps more exciting is the fact that residential LED lighting offers designers greater flexibility, with the need for easy access for bulb replacement but due to the ever increasing lifetime of LED lamps this seems redundant. This in turn this could lead to some very interesting shapes and designs being seen more commonly in our homes of the future, and that cannot be a bad thing! When you add in the recent developments of lighting technology, such as dimming via Bluetooth and smartphone apps, and with residential lighting set to get a lot more interesting long gone are the days of 'standard' light bulbs and plain light shades. Definitely one for Phi to keep our eyes on over the next year or two. Lighting and interior designers have access to an ever-widening range of lamps and fixtures, with modern LED lighting systems now offering colour-temperatures akin to the lovely warm tungsten sources of yesteryear, yet with significantly higher efficiency. The days of cold or flickering LED lamps are over, or at least they can be. The long-lifetime expectations of LEDs mean that the light source no longer needs to be a user-replacable item, in the way that a filament lamp was, but instead fixtures can be designed with new shapes made possible by integral LED light-engines, which do not need to be replaced. This LED era is arriving at just the right time because new EC legislation, which comes into effect in September 2016, will remove directional halogen lamps from sale, with the same fate following for non-directional lamps in 2018.